Chocolate mousse is a super light and decadent treat that can be used for mirror cakes, frozen desserts or just eating with a spoon! 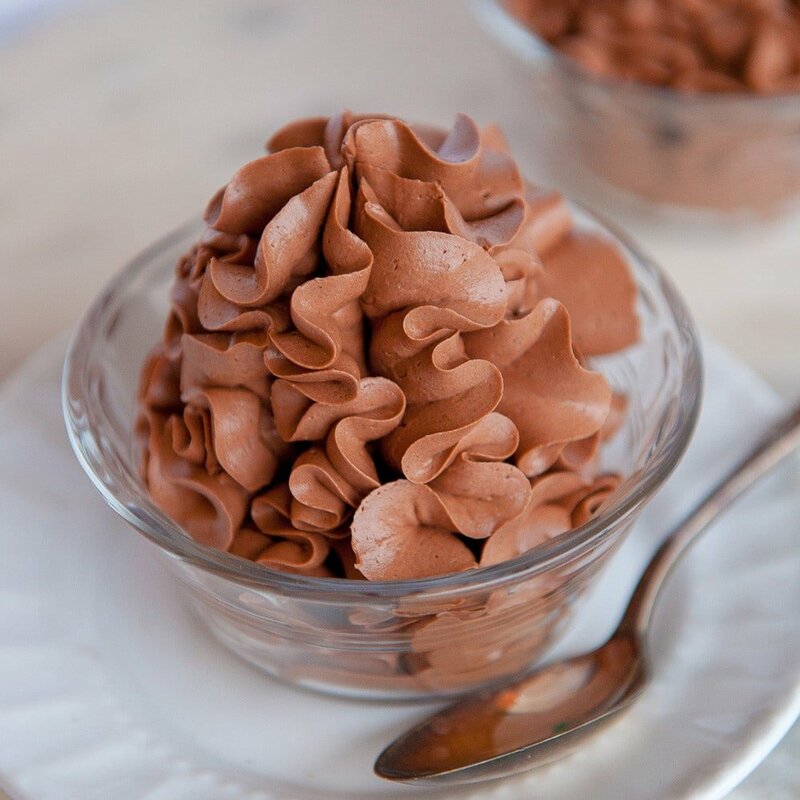 Chocolate mousse is the easiest dessert to make but tastes so amazing! 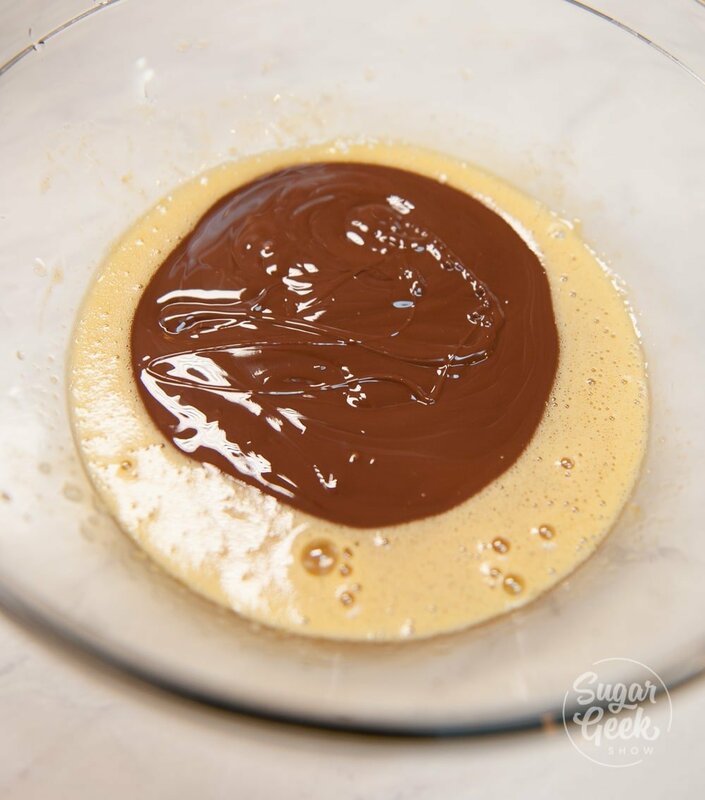 My recipe uses eggs to thicken the mousse and a bit of honey to give it a wonderful depth of flavor. Combined with rich dark chocolate and light and fluffy whipped cream, you have yourself an amazing dessert! I love using this chocolate mousse recipe for my chocolate heart mirror glaze cake! Such a delicious treat for a special occasion. 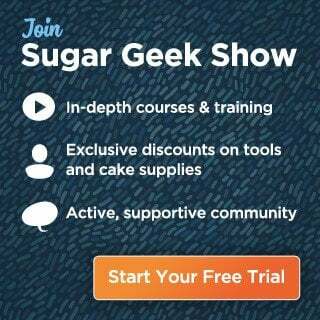 So before I show you how to make my favorite chocolate mousse recipe in the whole world, I’m going to tell you how to make super FAST and easy chocolate mousse AKA whipped ganache. Like… 10 minutes tops. 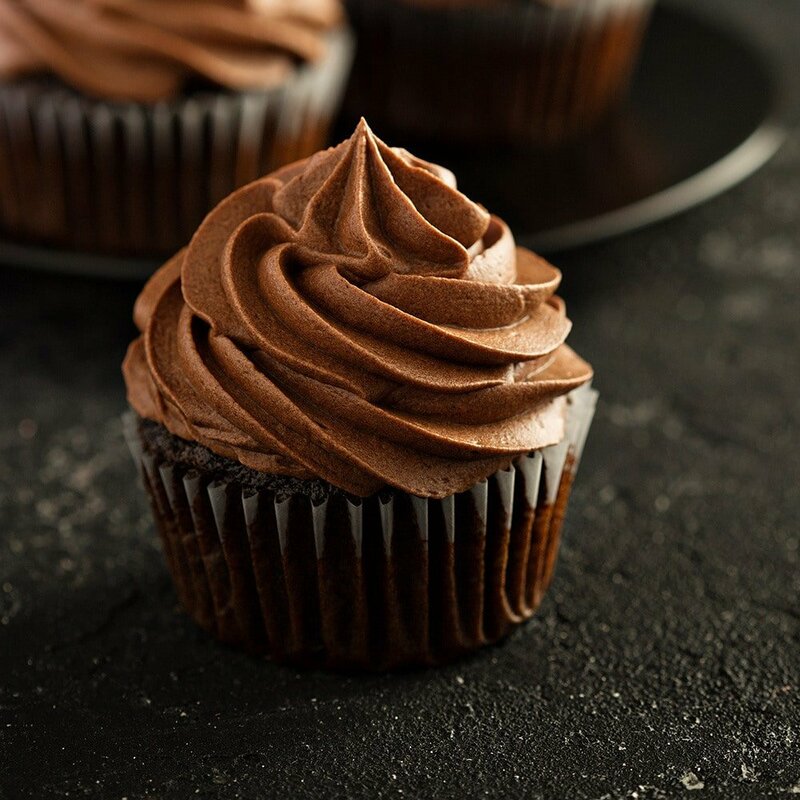 You can use this type of mousse to fill your cakes or frost cupcakes and it tastes so yummy! So let’s say you for some crazy reason don’t have any chocolate on hand (you heathen) and you only have cocoa powder. You can still make a delicious chocolate mousse! 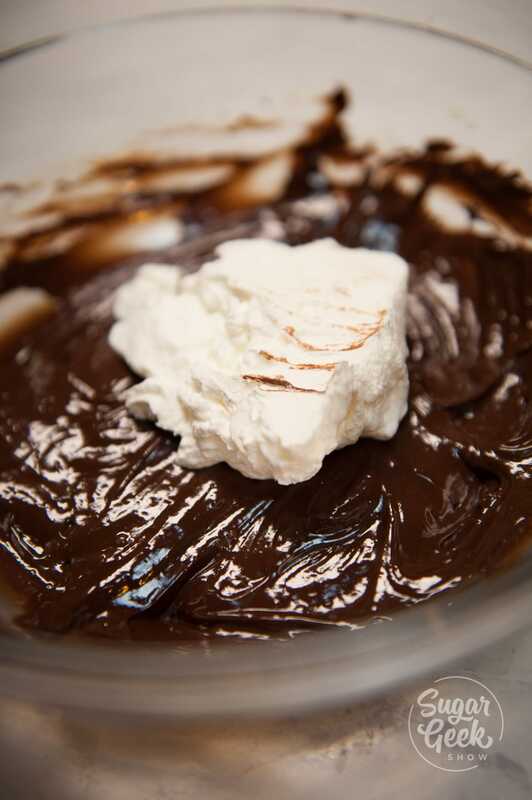 In a separate heat proof bowl, melt down 1/2 oz butter, 1 Tbsp powdered sugar 5 Tbsp heavy cream and 1/2 cup cocoa powder over a double boiler until smooth. Pour into a separate bowl and let cool in the fridge 15 minutes. Whisk up 1/4 cup (2 oz) of heavy whipping cream to soft peaks. Fold the whipped cream into the cooled chocolate mixture and enjoy! 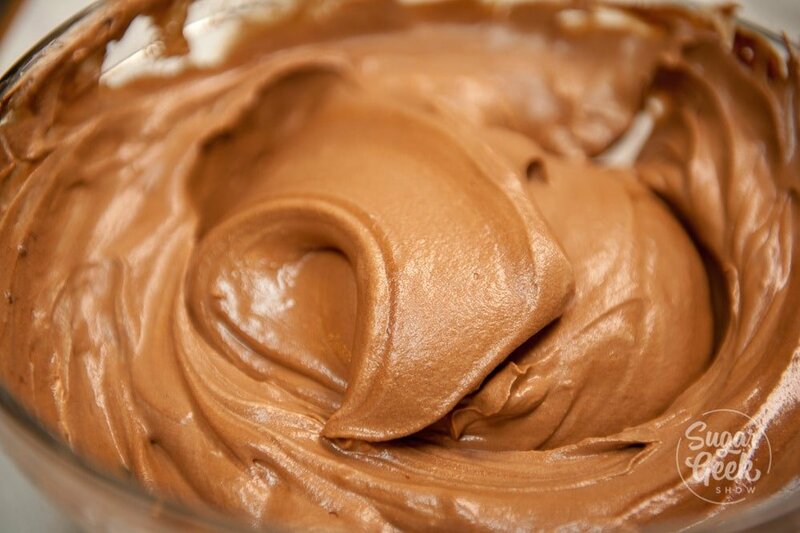 A true mousse uses eggs to thicken the mixture and makes it really rich and tasty. I love this particular mousse recipe because the honey helps “cook” the eggs and makes the process go a lot faster. Place your chocolate in a heat proof bowl over a pot of simmer water (about and inch of water) and stir until it’s barely melted and set aside. Place eggs in a heat proof mixing bowl. Add your honey in a small sauce pan and bring to a simmer. 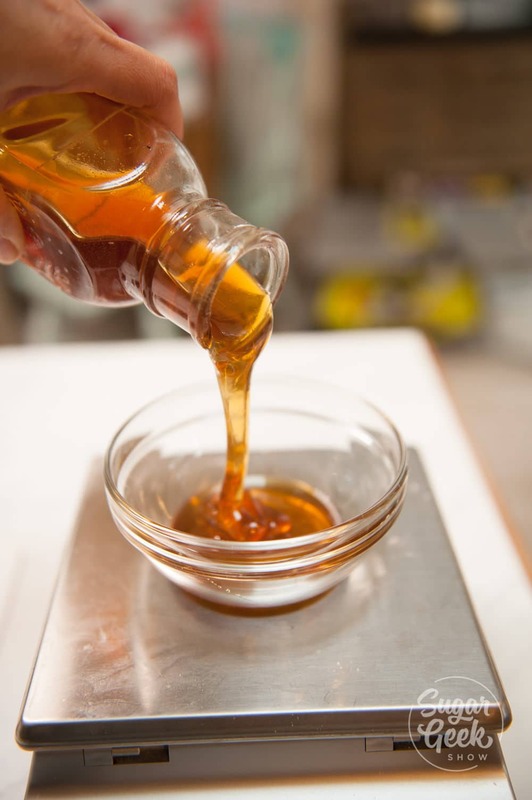 We use pure local and organic honey for a rich and full bodied flavor! The better the honey, the better the taste! 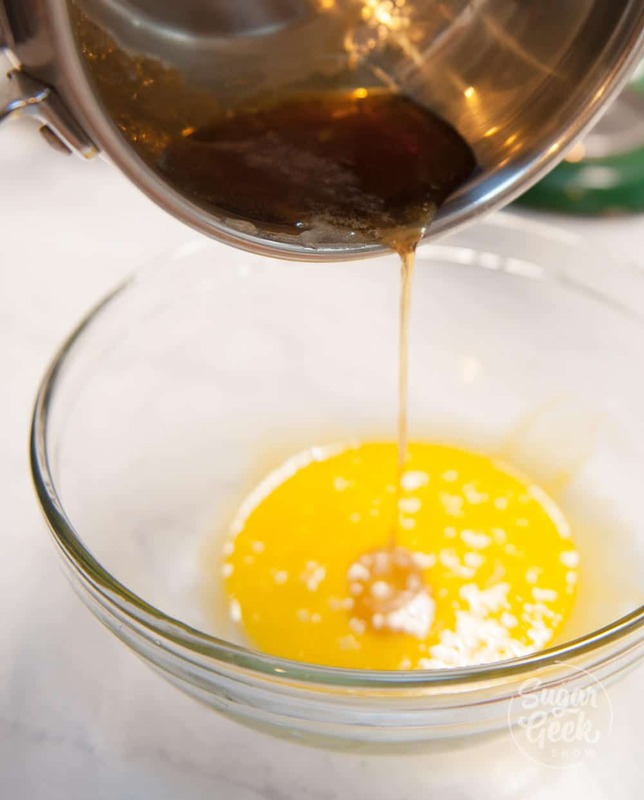 Add a a small amount of the honey to your eggs and whisk to combine. Then add in the rest of the honey and whisk until the eggs thicken. 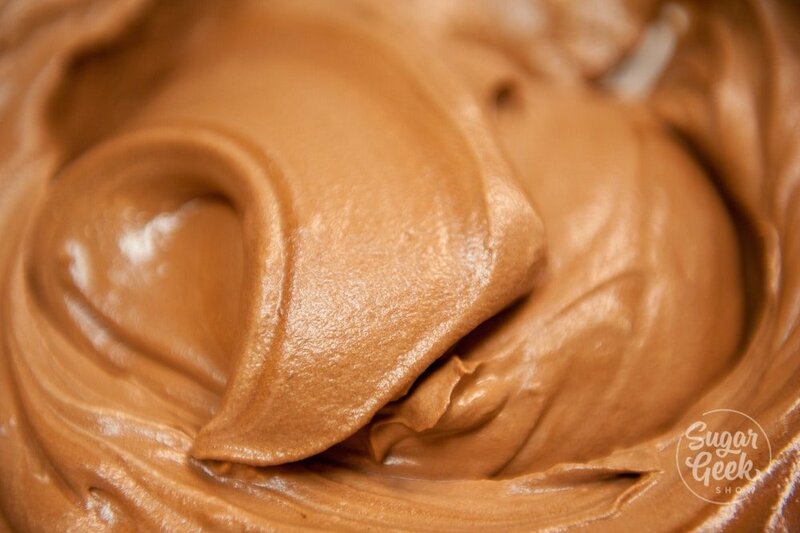 Your chocolate mousse is now ready to use in your molds for mirror cakes, frozen desserts or other treats! To me this is the BEST chocolate mousse recipe because of the honey! It really makes it taste amazing and super decadent. Serve this mousse a cup with some fresh berries and OMG it’s to die for. 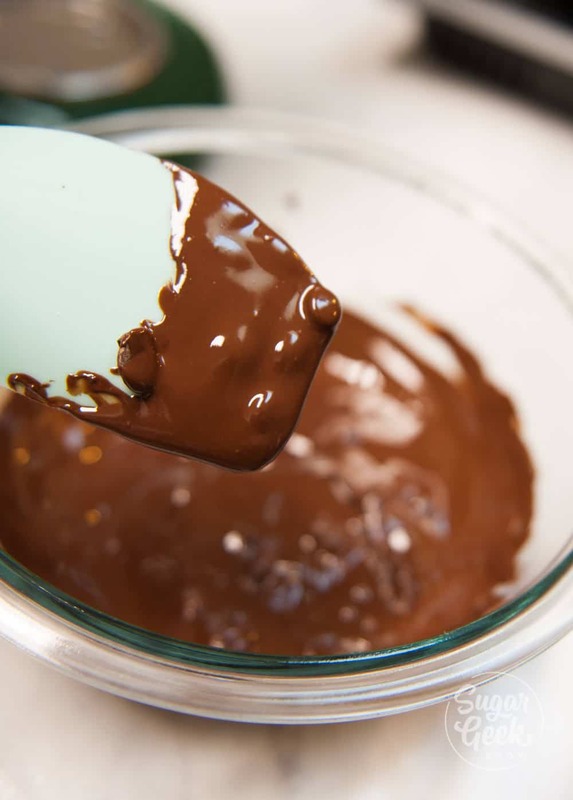 Place your chocolate in a heat proof bowl over a pot of simmering water to melt.